Innate immunity is a rapid protective response found in all mammalian cells. The innate immune response is triggered in infected and damaged cells and nearly always accompanies human cancers. When misregulated, this protective mechanism can turn against the host and result in autoimmune disorders, such as Sjögren's syndrome, lupus erythematosus, or Aicardi-Goutieres syndrome. One of the key activities of the innate immune system, besides production of interferons and inflammatory cytokines, is cleavage of intracellular RNAs. We aim to decipher the physiologic roles of this RNA cleavage in human cells using a panel of methods that include structural biology, biophysics and high-throughput RNA sequencing. Our long-term goal is to define how mammalian cells use RNA cleavage mechanisms to maintain homeostasis and control their fate under normal conditions, during stress, and in diseases. 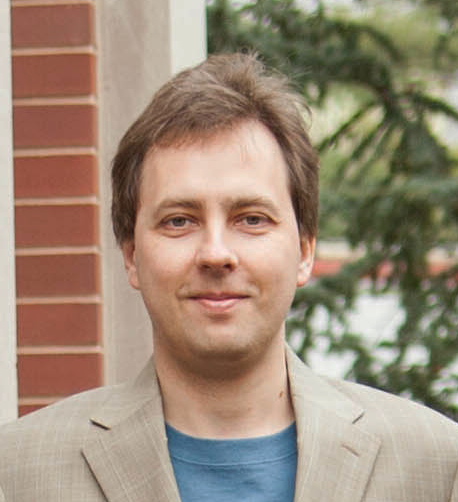 Alexei Korennykh is an Associate Professor of Molecular Biology at Princeton University. Alexei was a Jane Coffin Childs postdoctoral fellow with Peter Walter at The University of California, San Francisco, and a Burroughs Wellcome Fund Interdisciplinary graduate fellow with Joseph Piccirilli at The University of Chicago. Alexei is a recipient of BioMed Central General Biology Award, James A. Elkins, Jr. '41 Preceptorship, Molecular Biology Innovation Award at Princeton, Burroughs Wellcome Fund Award in Pathogenesis, and Sidney Kimmel Foundation Cancer Award.